So, what's your love playlist? Those songs which instantly remind you of your significant other? Music plays a huge part in our lives, pre-T we listened to music all the time, now that's mostly been replaced with him watching the ninja turtles but every now and then we'll go screen free and pop on a playlist while we're taking it easy on a Sunday morning or tidying the house on a Saturday or when we are having one of our date night's in. I really love how tablets, iPads & wireless speakers have made it so much easier to keep your music together in one place enable you to wirelessly manage and listen to your music, Panasonic do a great range of hi-fi speakers perfect for date night's in! 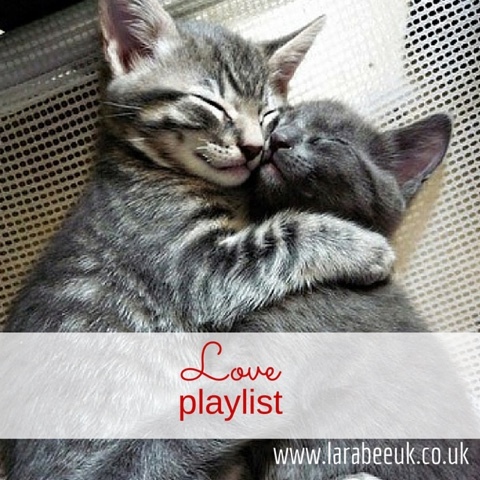 The Hubs is not 'into' music at all, he cannot tell his r&b from his garage from his dance but there are certain songs and artists that he loves, it not often that we agree on music at all which is why our love playlist is even more special! 1. Another chance - Roger Sanchez, this is one of my favourite songs on our first holiday together The Hubs asked for this for me in a bar/club, I was pretty shocked as he really wouldn't have known what he was asking for, he just knew that I loved the song! 2. Come away with me - Norah Jones, just one of the most beautiful songs ever, the words I used to write on our anniversary plates as it was used as one of our wedding songs. 3. Better together - Jack Johnson, we both have liked Jack Johnson for a long time with The Hubs knowing of him from the Curious George soundtrack, since we discovered we both liked him, we've been to see him, one of the highlights of our time together. 4. If I can't have you - Alicia Keys, we were originally going to be married in New York but New York in February isn't a great idea logistically for a wedding so we changed plans and decided on Antigua in the summer instead. We had already decided one of our wedding songs would be New York by Alicia Keys but obviously that didn't fit with our change of plans so I suggested If I can't have you instead, The Hubs loved it so that was easily decided. 5. Dancing in the moonlight - Toploader, I loved this song so when I had the change to go to a Robbie Williams concert in MK I jumped at the chance, purely to see Toploader perform this. The hubs was there as a big Robbie fan, it happens that we both went on the same night before we knew each other. 6. You're the best thing - The Style Council, music we agree on! Anything involving Paul Weller, I adore this song, it's simply beautiful and its Paul Weller so The Hubs needs no convincing! 7. One more for the road - Frank Sinatra, I introduced The Hubs to the Rat Pack not long after we got together and he became as big a fan as I am, we love going to the Rat Pack shows or Sinatra or Dean Martin tributes, this is probably our favourite song from that era. I personally prefer it performed by Frank Sinatra. 8. Mr Bojangles - Robbie Williams, yes it pains me to say but it would be Robbie's version on our playlist! 9. When I was your man - Bruno Mars, this one was actually one The Hubs discovered, he bought the Bruno Mars album and introduced this song to me, it's simply beautiful. We both absolutely love it. 10. Thinking out loud - Ed Sheeran, is another artist which we instantly agreed on, The Hubs struggles with the more heavily produced dancey tracks but this is definitely one of our favourites from the X album. 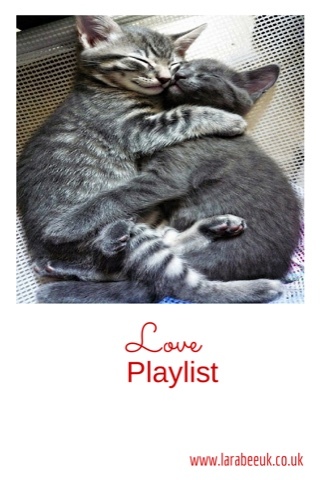 What's on your love playlist? Disclaimer: Collaboration post with Panasonic. What a great idea for a post (and I love that photo of the kitties!) I would have to put some serious thought into mine. Maybe I'll do a Balentines playlist post next year.